Do you enjoy eating out? Have you eaten out lately? One of the challenges of retirement is living within reduced means.The great news is however that this does not mean that you cannot have the occasional meal out on the town! Opportunities abound for eating out without blowing the budget. Many hotels and pubs run daily and weekly specials for seniors - especially for lunches. Check cafes, bistros and restaurants for meal deals. 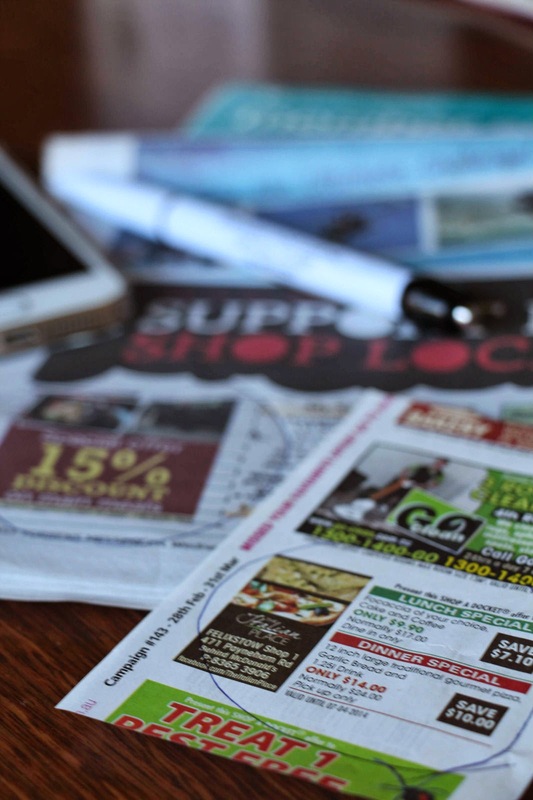 Take advantage of coupons and offers found in your local newspapers, shop-a-docket offers found on the back of many supermarket shopping dockets, 'junk mail' promotions in your mail box or businesses that support Seniors Card holders. *Please note this is not a sponsored statement. Alternatively you could support a local school or charity by purchasing an 'Entertainment Book'. These have dozens of excellent offers from fine dining restaurants in your city to local cafes - and you can save the cost of the book on your first couple of meals. Don't be embarassed to use theses opportunities - businesses want your business. They would not offer these marketing tools in the first place if they did not want people like you to use them! This week's challenge ... take your partner, a loved one or friend out to dinner - and to use a meal deal coupon. Get out your coupons and shopper dockets now, pick a restaurant and a time - and enjoy an evening out on the town on the cheap! Do let me know where you go! Have a great time!